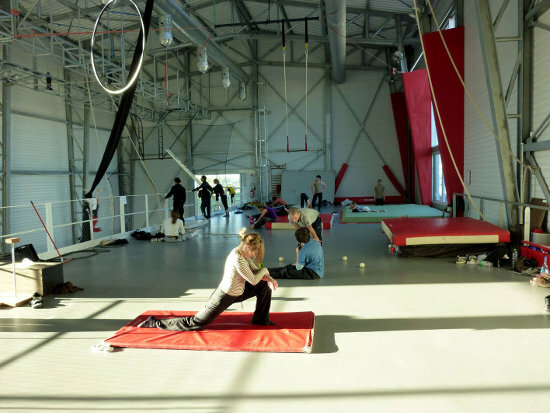 Alongside running creation residencies, workshops/courses, and the annual Rencontre d'aériens, the Toulouse organisation La Granerie has space available each day for open training. They have two tents (one for residencies, one for training) plus a large 3200 m2 hangar that used to belong to the army. To train at La Grainerie there's a membership fee of 120€ p/a or 45€ per semester, plus whoever's using the space has to pay the utility costs (i.e. the cost of running the heating in winter).